My old Marine got the poison-toxins double-whammy during his military service–Agent Orange and at Camp Lejeune . We know AO has caused damage; CL has been on our radar due to posts on Asknod, various news reports and the registry. A urologist he saw this week commented on the failure of the VA to acknowledge the association between AO and bladder cancer. But he had not heard anything about Camp Lejeune and the bladder cancer nexus. The 2015 VA Fact Sheet IB 10-449 (LINK) CAMP LEJEUNE: PAST WATER CONTAMINATION is obsolete after recent developments. The Camp Lejeune Water Contaminated Veterans rule in 82 FR 4173. has an effective date of March 14th, 2017 and no earlier. “It is good because it expands the scope of coverage to include National Guard and Reservists who otherwise would not be eligible for benefits. 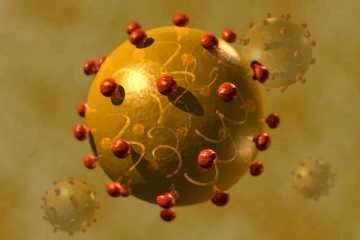 Additionally, it adds some diseases not allowed under the prior 2012 Act. He is being polite. This is the same type of strategy the VA used to hurt veterans who would have benefited in the Staab (LINK) case concerning Emergency Care. It helps veterans and community hospitals only after the date of the (delayed) favorable ruling. (BVA ) An depth must-read about Jane Vet’’s CL breast cancer, who in 2010, represented by DAV, led her to proceed without an IMO. Her VA cancer doc hedged but was supportive. Another VA doc threw her under the bus because she didn’t have male breast cancer, the more studied concern. The judge found the medical evidence was in equipoise and found in Jane Vet’s favor in this case. MSNBC. Link dead now but NBC has published many reports on CL. Link from Shawn & classic commentary from Alex. Link to ABC News video; poignant comment from Debi. Did I miss any? I’ll try to come up with a simple Fact Sheet myself to share with the urologist who may, who knows, share it with other staffers. The older infographic below deals with health care for the afflicted. CDC: THE ATSDR PUBLIC HEALTH ASSESSMENT 1/20/17 (LINK) 202 pages-pdf. Civilian Exposure–Focused on CL and other military installations toxic situations. 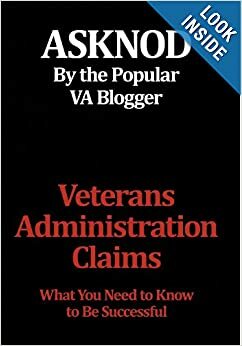 This entry was posted in Agent Orange, All about Veterans, AO, BvA Decisions, C&P exams, Camp Lejeune poisoning, CAVC ruling, Complaints Department, Congressional Influence, Food for thought, General Messages, Guest authors, hepatitis, IMOs/IMEs, Inspirational Veterans, Nexus Information, research, Uncategorized, VA Agents, VA Attorneys, Veterans Law, Vietnam Disease Issues, VSOs and tagged Agent Orange, asknod.org, Inspirational Veterans, Service Connection, VA claims, VA Medical Care, VA NEXUS LETTERS. Bookmark the permalink.